CP: Congratulations on being the very first instructor to teach class in our brand new Book and Paper Arts Studio! 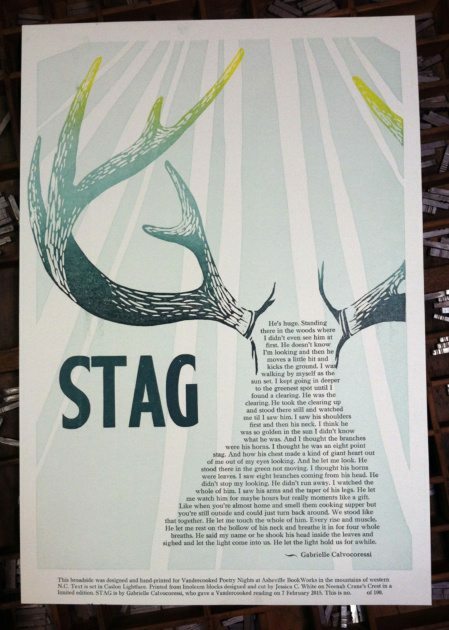 So what drew you letterpress printing? Why is the medium meaningful to you? 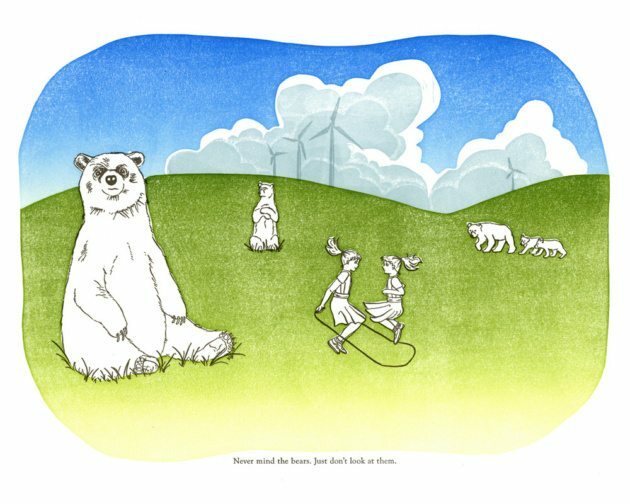 JW: When I was a printmaking grad student at the University of Iowa, I made drawings and prints that combined images with text. One day, a friend saw me struggle with different methods of printing the text on a lithograph, and he suggested letterpress. He showed me how to set and print one line of text, and I haven’t stopped since! 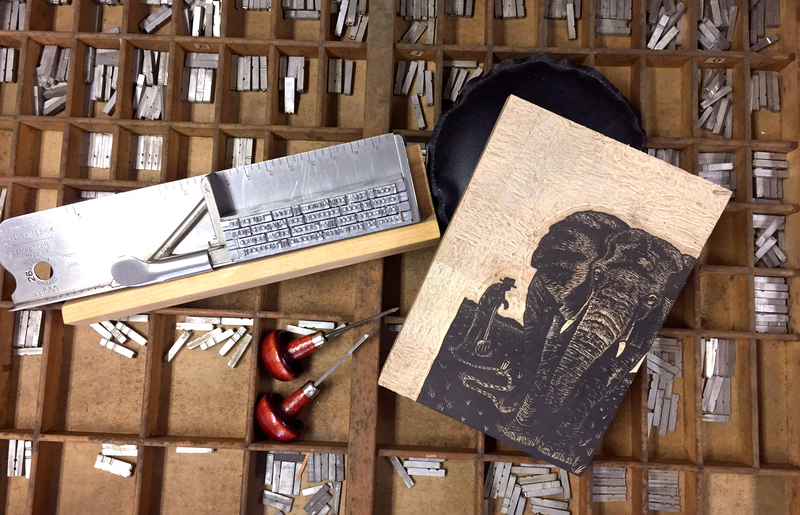 For me, letterpress printing started as and still is a means to an end; I like all types of printmaking, but my love of text always brings me back to letterpress because it’s the perfect method to printing my work. CP: How would you describe your work? CP: Do you have a favorite tool or material? JW: These days, I’m working on my engraving skills. I really enjoy working on maple endgrain and I have two engraving tools that fit my hand perfectly and feel like old friends. CP: What or who inspires you? Whose work do you admire? 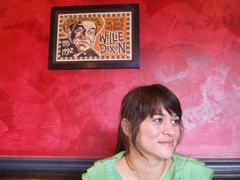 JW: I hope to be able to tell stories through images like Ernest H. Shepard, Edward Gorey, and Amy Cutler. I originally fell in love with engraving when I first saw engravings by Gaylord Shanilec, and now I’m also obsessed with Abigail Rorer and her beautiful work. My favorite comics artist is Anders Nilsen. I admire anyone who can tell me a good story that I’ve never heard before. CP: What would be your dream project? Or tell me about a project you’ve already pursued that is most important to you. JW: I made a crankie a few years ago, and have finally found my way back to making more in the past year. I’m over the moon with how the activation of a little scroll in a wooden box brings up feelings of wonder, discovery, and joy. Combining printmaking with kinetics feels like I’ve come full circle, back to when I fell in love with sculpture as an undergrad at East Carolina University, and even as far back as making dioramas and puppets when I was a kid. It’s like I’ve finally figured out what I’ve been really trying to make all these years. 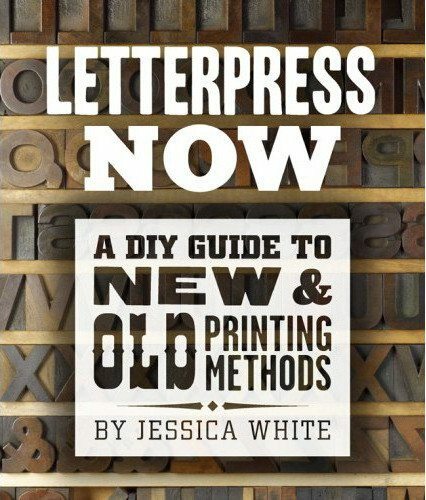 CP: Your book, Letterpress Now: A DIY Guide to New & Old Printing Methods, is a pretty comprehensive guide to letterpress. 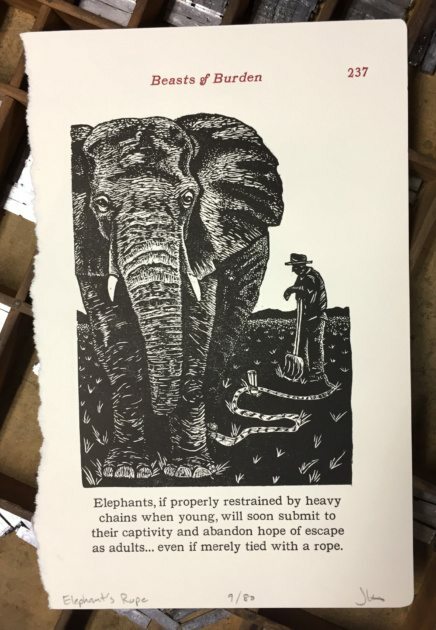 What inspired this book project and why do you feel it is important to teach people/pass on knowledge of letterpress printing? JW: Letterpress printing has such a long and interesting history, and I think actually going through the process, slowly and by hand, really roots us to that history. This type of printing in particular is so closely tied to the rise of literacy in the west and contributed a great deal to the development of radical philosophical ideas that spread throughout Europe during the Enlightenment. It has recently become popular as a boutique-style of printing, but I just love how it was once a “dangerous” tool that could topple nations. I don’t usually give history lectures during my workshops, but I hope that learning the techniques of letterpress printing will spark an interest in folks that want to dig deeper, and a source of creativity and joy for those that don’t. 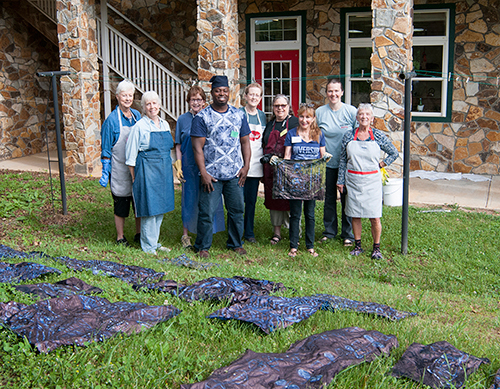 CP: How long have you been coming to/teaching at the Folk School? 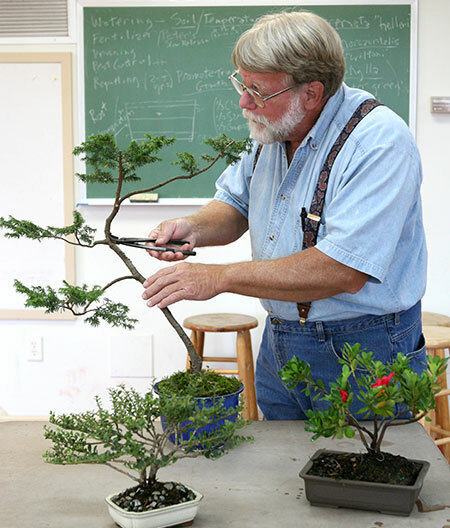 What do you like about the Folk School? JW: So far I’ve only taught one other class at the Folk School, a bookbinding class in January 2017. I really appreciate the Folk School’s philosophy of noncompetitive learning, which creates a really relaxing atmosphere. The landscape is also beautiful, and although I was technically working that week, I came home feeling relaxed and rejuvenated. I’ve been looking forward to coming back ever since. CP: What advice do you have for folks interested in getting started in letterpress? JW: Get my book and just get started. Take a workshop as soon as you can to learn from others. Get other books and learn from many different people. CP: Where can people find your work? 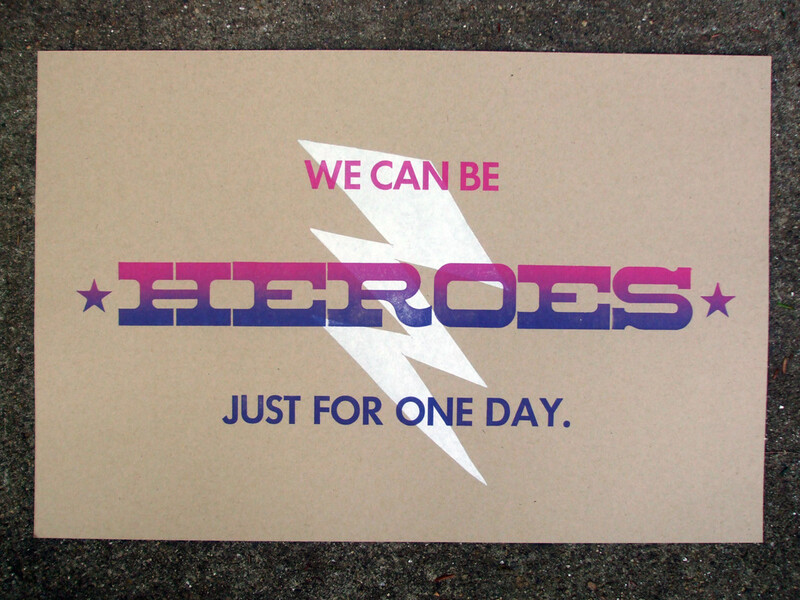 JW: A few places that carry my work in Asheville include Horse + Hero, Blue Spiral 1, and Grovewood Gallery. Other places include Emerge Gallery in Greenville, NC, River Gallery in Chattanooga, TN and Block Party in Louisville, KY. I also show regularly at the Craft Fair of the Southern Highlands and other regional craft fairs. Check my website for more details or to make purchases online: jessicacwhite.com. 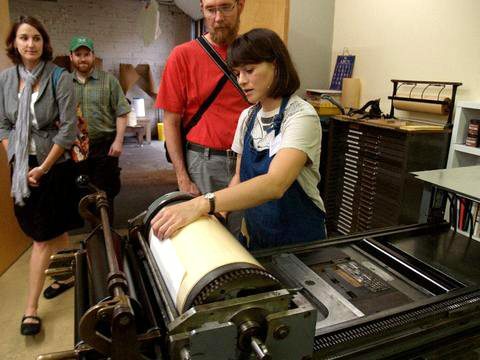 Explore the basics of letterpress printing and hand-typesetting, including type composition, mixing ink, press setup, and printing on a flatbed cylinder press.First create a small project, such as a business, greeting, or post card, and then a more complex project, like a broadside (one-page printed piece, suitable for framing) or a chapbook. 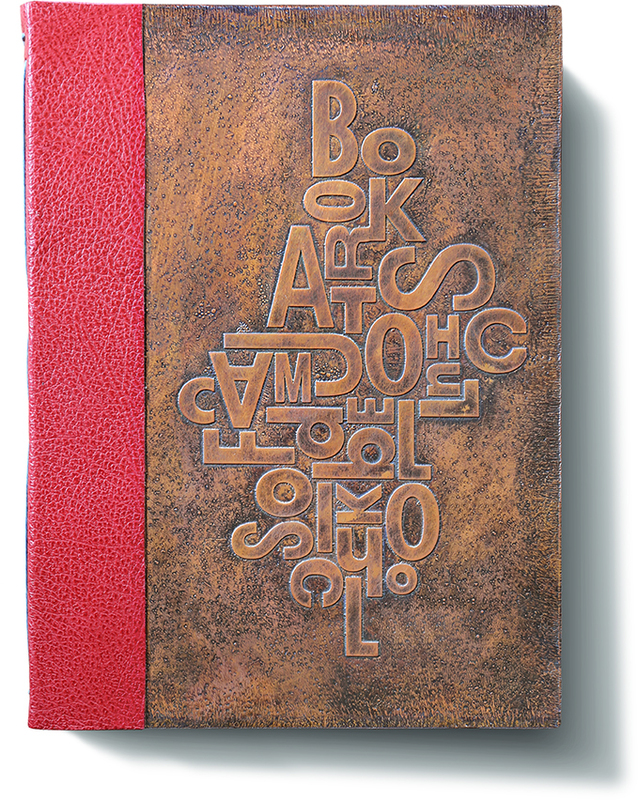 Discover the ways that letterpress can add texture, text, and a new dimension to your print and book works. 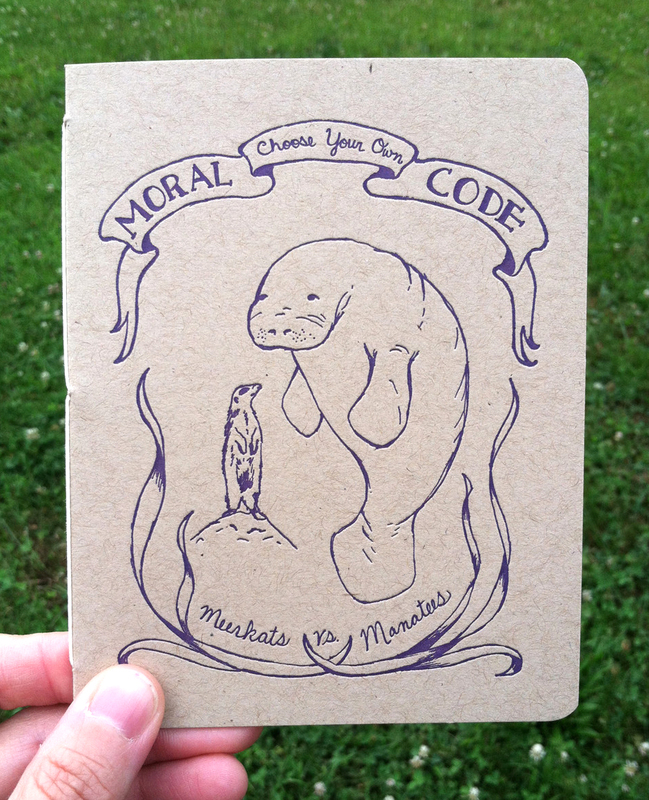 No prior printing experience is necessary. Visit the class page to register online.